Lower back strain describes minor muscular or connective tissue injury that occurs due to overuse, trauma or other factors. Muscular strain is usually not at all serious, but rare cases can grow into cumulative RSI conditions that might set the stage for chronic pain. 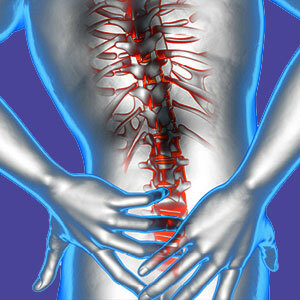 The lumbar region contains many muscular tissues, most of which are part of the postural support system. These tissues are extremely capable, durable and hard-working. They are designed for endurance activities, as well as brute strength. However, every muscular tissue has its limits and those contained within the lower back anatomy are no exceptions to this rule. There are many ways that the muscles can be strained, although only a few will cause lasting collateral effects. This home-treatment based essay explores the occurrence of back muscle strain in the lower back. We will provide a glimpse at the most common strain-inducing activities according to emergency room statistics, as well as how common muscular strain can be treated effectively to reduce the degree of pain, as well as the duration of symptoms. Lower back strain is a common minor injury that describes nonspecific forms of trauma to the soft tissues of the dorsal region. There are many tissues contained in the soft tissue anatomy of the back, including muscles, ligaments, tendons and other structures. Any or all of these can endure strain when pushed beyond their limits of strength, endurance or range of motion. Most minor strain conditions involve small tears formed in the substance of the affected tissue. These tears interrupt cellular chains and reduce functionality while the injury is fresh. Muscular lower back pain is a common result and is usually experienced as a dull burning in the tissue, particularly upon particular mobilization through specific ranges of movement. Moderate soft tissue strain might produce more significant trauma to these same tissues, with large gaps forming in the cellular chains. In moderate strain conditions, the region will likely be more painful with a sharper edge to the pain. Considerable functional decrease is expected and pain may become very severe if the patient continues to work the region after injury. The most severe forms of tissue strain might entail partial or full tissue detachments. This diagnosis means that ligaments, tendons or muscles might rip partially or completely free of one another or of their skeletal fixations. Partial attachments will be disabling in many cases, while complete detachments of tissues might create true dysfunction of the involved structures. Widespread pain is common in tissue detachment conditions and the patient might report having heard a popping or ripping noise upon onset. Bending at the waist can produce pain, especially in people with poor flexibility or people who lift while bending. Lifting is a major source of back strain, particularly in people who utilize the back muscles, rather than the leg muscles to gain more leverage. Sporting activities can strain the lower back through many mechanisms, including impacts, falls and a variety of movements. Falls and impacts of any nature might create strain from rapid acceleration or deceleration, such as evident in the classic example of whiplash. Endurance labor is one of the most often cited causes of back strain. Any form of rigorous activity performed past a person’s level of capability can impose great stress on the soft tissues, causing them to face varying degrees of strain injury. Yard work, snow shoveling, painting, floor sanding, general cleaning and vocational tasks are all major culprits of this type of accumulated stress strain. Ice the area fore the first 24 to 48 hours, depending on the severity of pain and possible inflammation. After icing finishes, replace with wet heat for an additional 2 to 7 days to improve circulation and speed healing. Rest the area and generally reduce physical activity while the pain endures. Do not, however, keep the area immobilized. Instead, gently move about occasionally to enhance healing response. 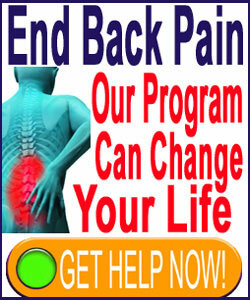 Completely avoid any movements that sharply increase pain for at least 1 week. Massage or OTC drugs might help provide relief, although the drug products should be used with the understanding that they do demonstrate considerable health risks. Massage is a better option for both speeding healing and soothing the region. For suspected tissue detachments or the worst cases of strain, it is best to consult a physician. They might recommend particular drugs to help reduce inflammation or control spasms. They might also suggest surgical fixation of detached tissues to repair damage and regain functionality. If your home care efforts fail and you still have pain after several days, or if pain is very severe from day 1, then be sure to seek qualified medical evaluation from a physician or physical therapist.